They’re the Donald Trumps of Beaver world; as in real estate development- they don’t yet have their own celebrity apprentice shows. 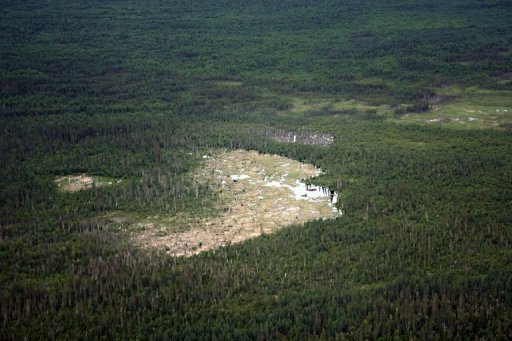 Several beaver families have built one of the largest beaver dams ever, in northern Canada, large enough to be visible from space. – This dam, located on the southern edge of Wood Buffalo National Park in Northern Alberta, Canada is 850 meters long or 2,788 feet- more than nine football fields in length. Large beaver dams usually reach about 1,200 feet, so this really is a colossus. – Biologists think this beaver dam is so large that construction probably began as long as 20 years ago. 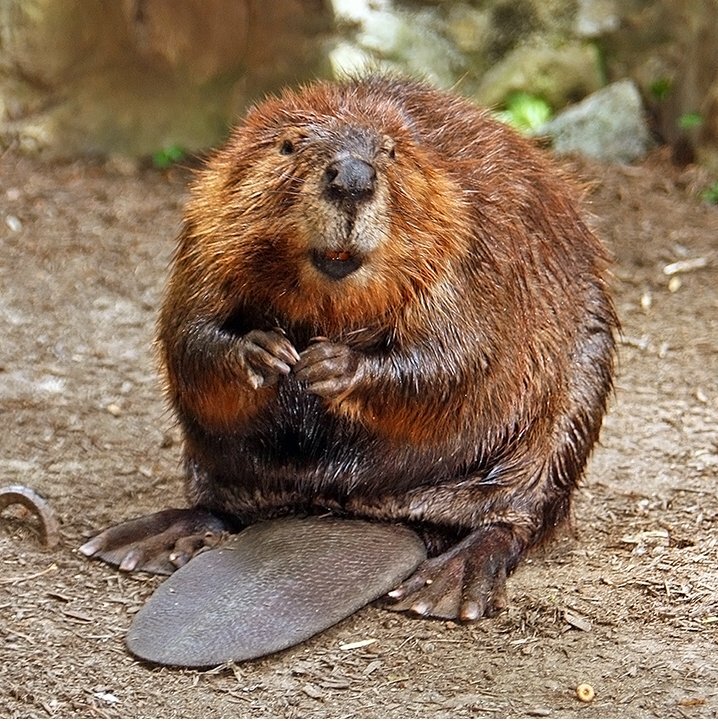 – Beavers are quite swift in the water but not so agile on land and they build these dams so that they are sort of surrounded by moats. This way they can maneuver really well near their homes to escape nasty predators (coyotes and bears)- plus –the water makes it easier for them to literally transport the trees they’re cutting down, floating them in the water instead of having to drag them around on land. 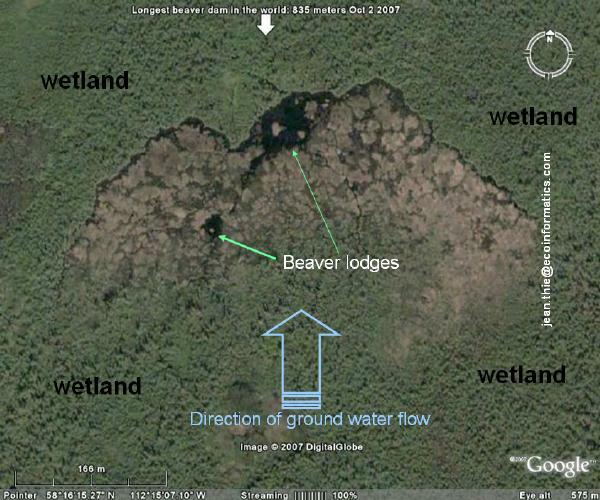 – This particular beaver dam, as you can see from the illustration above contains not one, but two lodges- the actual domiciles for the furry little guys. – Unlike Donald Trump’s high-rises on the West Side of Manhattan, Beaver dams are actually good for the environment. They slow the flow of water which leads to less drought and flooding. – When plant matter dies in water it creates peat which is a great way of storing carbon dioxide. 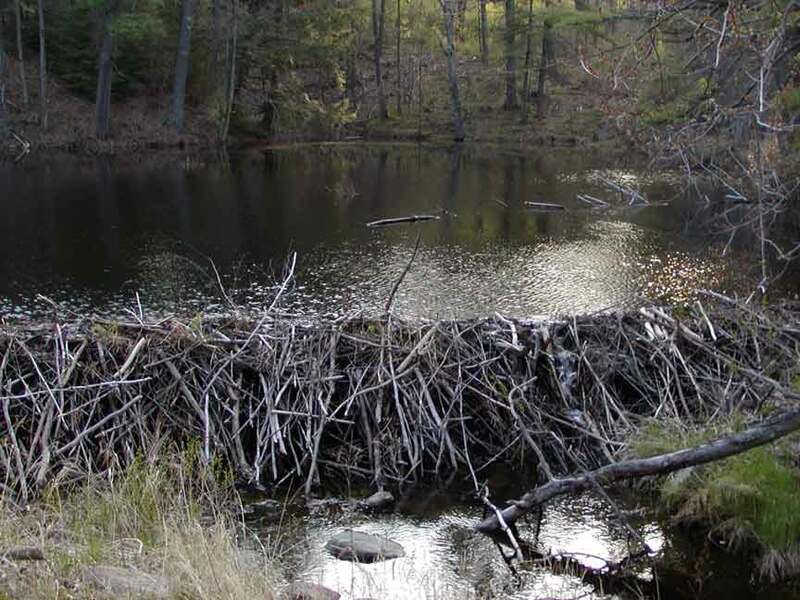 Despite the fact this massive beaver dam is in a remote and largely inaccessible area, Garciamedialife was able to contact them via satellite phone earlier today. We talked with the leader of one of the three families that have built this structure, Alfonso Ouelette. Q: So do you have, like, amenities in your lodges? A: You mean, besides satellite phones? Heh heh. Well, yes, we have flat screen TV’s. No cable, of course, so we use the DISH network. Q: What do beavers watch? Sports? Movies? A: We like Katie Couric a lot. And Animal Planet, of course. A: Well, she looks a little like us, certainly more than Diane Sawyer or Brian Williams. Q: How did this thing get so large? A: It’s less complicated than you think. We’re way up here in northern Canada and, frankly, there’s not a lot to do. Q: Do you know your home can be seen from space? A: Oh, yeah, we wave at the satellites all the time. At this point, we were cut off, hopefully not because he thought I asked a condescending question. Beavers are very sensitive about their tails.